The Shop Fox machinery line of the Woodstock International company has proven to be one of the most popular brands when it comes to metalworking and woodworking equipment. The reason behind this immense popularity is, of course, the quality of these devices – they’re as reliable and durable as it gets. Their Shop Fox W1668 drill press is a good example – it’s a fast and accurate model that drills holes in a wide array of materials, such as metal, wood, plastic, and others. The fact that it accepts a range of attachments makes this unit even more versatile, which is exactly why it’s a common tool in many workshops. If you’re interested in buying this benchtop drill press, we advise you to read on. In the following parts of this review, you’ll be able to find out all the necessary info on this model – it’s our job to provide you with an informative, straightforward, and an unbiased review. The heart of this unit is its high-performance ¾ HP Motor, which provides enough power to help you perform all kinds of tasks efficiently and get the desired results. The fact that the engine has metal heat dissipators shows that it’s more than capable of heavy-duty drilling – contractors will surely appreciate it. It comes with decent variable speed (250 – 3,050 RPM), allowing you to adjust the speed according to the task at hand. The dimensions of 23″ x 14″ x 38″ and the weight of 122 pounds make Shop Fox W1668 a reasonably compact unit – it shouldn’t take too much space wherever you decide to put it. The overall construction quality is excellent, just like we expected. The unit has been professionally built from a wide array of sturdy materials and can withstand heavy-duty application without any issues. 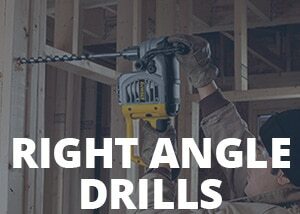 The table of this drill can be tilted 90° to both left and right. The height is also adjustable, allowing you to accommodate the workpiece and easily achieve the desired drilling/sanding angles. The base, on the other hand, is very stable and robust. Its rectangular shape reveals its additional purpose – once the table is tucked away, one can use the base for drilling (there are even some drilling holes on it). As we said, the ¾ HP Motor of this unit is powerful enough to let you use Shop Fox W1668 for a variety of drilling operations. It can be used in 12 different speed settings (ranging from 250 to 3,050 RPM), letting the user choose the speed that’s required for the task at hand. For example, the speed of 250 RPM is perfect for drilling through resistant materials, while the rate of 3,050 RPM leaves splinter-less holes in materials such as plywood. The motor is powering a 5/8″ chuck, which bears an excellent construction quality for its size and works like a clock. It accepts a wide array of different drill bits, thus enhancing the flexibility and versatility of the whole model. One thing that we really liked is that that the Shop Fox W1668 can also be used as an oscillating sander. With it, you’ll be able to sand complex contours by simply applying a sanding pad to the mandrel. There’s even a clearance hole with the dedicated dust-collection port. The Shop Fox W1668 is a fantastic benchtop drill press, and it managed to leave us thoroughly impressed. The first thing we noticed about this model is its great design – the machine is very well-built and looks like it can easily withstand heavy-duty application and harsh working conditions. It has an adjustable table that helps with the correct accommodation of the workpiece and a sturdy base that can be used for drilling. Furthermore, it has a pretty powerful motor which, when combined with the versatile 5/8″ chuck, makes short work of every task you throw at it. The fact that the machine can be used in 12 different speeds is yet another advantage and one that contributes to the unit’s already established versatility. One thing we particularly liked is the device’s sanding capability – you can change it to an oscillating tool with a simple flick of a button. Our only major complaint about Shop Fox W1668 is how difficult its assembly is. While the company provides the necessary instructions on the assembly, figuring out how to complete the whole process can be really challenging due to the lack of labels on the parts and the complex info in the manual. We were also displeased with the lack of a work light, but we can’t really take that as a serious flaw. Integrated LED light is much more critical on the handheld, cordless drills – this is a stationary machine intended for use in the workshop. The Shop Fox W1668 was met with positive reactions from the users, who are calling it the best benchtop drill press they had the opportunity to use so far. They’re very pleased with the unit’s versatility – the fact that it can be used for both drilling and sanding is highly praised by those that bought it. Their only gripe is the vague instructions that make the assembly quite challenging – there’s no inventory lists or labels on parts. In our opinion, the Shop Fox W1668 is a reliable drill press that’s guaranteed to assist you with all kinds of drilling and sanding operations, whether they’re home-based or professional. It’s capable of performing a variety of tasks and provides the user with the best possible results, so it’s no wonder that it’s widely used by so many homeowners and contractors. As far as we’re concerned, buying this model is not a waste of money – it is, in fact, an excellent investment.